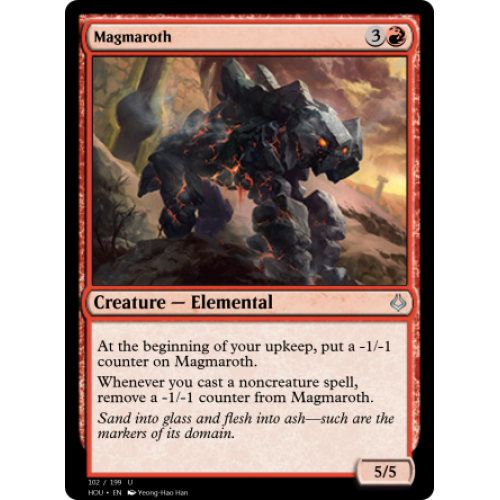 At the beginning of your upkeep, put a -1/-1 counter on Magmaroth. 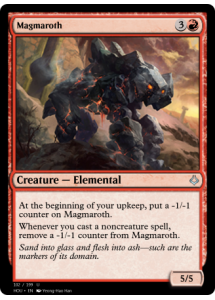 Whenever you cast a noncreature spell, remove a -1/-1 counter from Magmaroth. Sand into glass and flesh into ash—such are the markers of its domain.